Redmi India has been teasing the arrival of a new Y-series smartphone since the past week. The rumor mill has been speculating that the company could be gearing up to launch the Redmi Y3 smartphone to succeed the Redmi Y2 phone from last year. A landing page for a 32-megapixel Redmi phone has appeared on Amazon India. While the company is yet to confirm the moniker of the phone, it is quite evident that the Chinese firm is gearing up to launch the Redmi Y3 smartphone on April 24 at 12 PM. The landing page of the Redmi Y3 has confirmed some of its key features. The smartphone will be fueled by a Snapdragon SoC and it will come with a gradient color body. The smartphone also featuring a dual camera setup on its rear. Its display will be sporting a waterdrop notch. 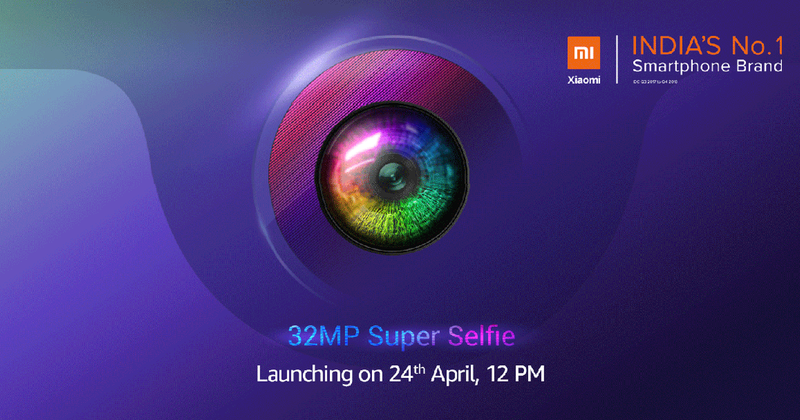 The USP of the device that it will be a budget-friendly smartphone with 32-megapixel selfie camera. It is speculated that the phone could be coming with Samsung ISOCELL GD1 sensor. The Redmi Y3 landing page on Amazon India has revealed that its display will be protected by a durable glass. Also, the phone will be equipped with a splash-resistant coating. There is no information available on the specifications and pricing of the smartphone. It could be arriving with a staring price of around Rs. 10,000 ($145).